This barn-wood Corner Cabinet will add much needed function and beauty to that awkward corner space. 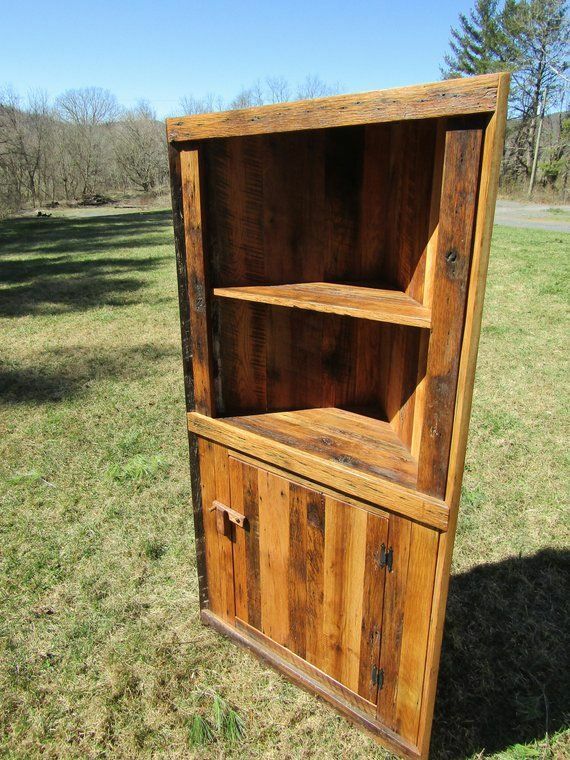 Built from 1800's reclaimed Oak, this piece is built to last another 100+ years. Classic material boast nail holes, mineral streaks, worm holes, saw kerfs, ax marks, and more. You really cant find more unique material. Shown here at 6ft tall with a warm "English Chestnut" stain and Satin urethane finish. Including two movable shelves.... one in the open upper section and one in the closed base. Also including wood latch for lower cabinet door. Stains and finish options are made to order. Please message us for a custom quote.